Around five or so years ago, I received a fabric covered notebook for my birthday from a couple in our congregation. It was honestly my favorite journal. It’s beautiful and embroidered with Indian swirls and patterns. I dubbed it my quote book and filled it with random passages, quotes, poems, magazine clippings etc. throughout the years. Now? It’s kinda full. And um .. falling apart. But I love my quote book. 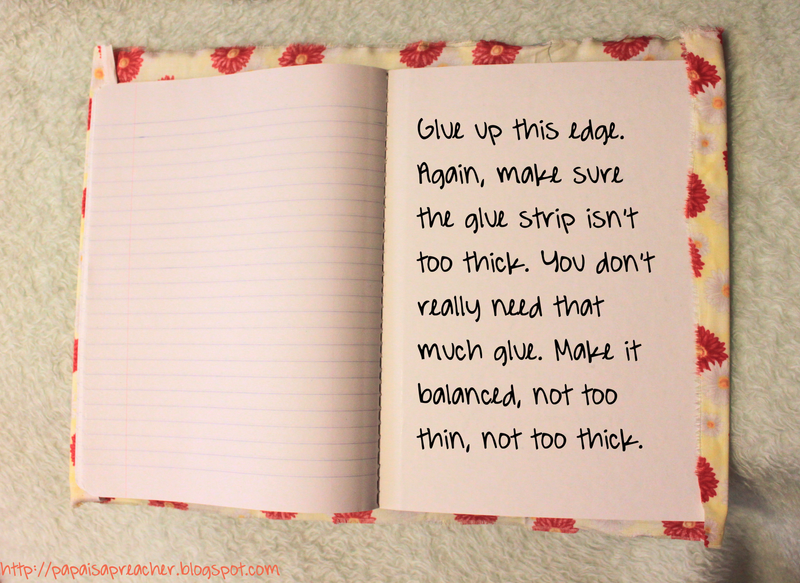 So I decided to make a Quote Book II. I’d make my own this time. Sort of. I’d cover it myself, that is. I remembered a notepad my aunt gave me once for me to write down notes in church. She had covered it with a scrap piece of fabric and cross-stitched my name to it ( I regret not having photos of these examples, however, they’re in boxes under boxes somewhere in the great unknown …). I thought I’d do a variation of that. Got my glue gun and a few left over sparkly embellishments from the Truly Lovely project .. and got to it. Wanna cover up a journal of your own with me? Ok. Let’s get to it. seamstress who actually knows what she’s doing. open the book and check that it’s not upside down. Previous Article Mill Lake for Labor Day. (: Glad you liked and I hope they enjoy! This is so cool!! Thank you for the instructions. My daughter would absolutely love one of these. I love this! 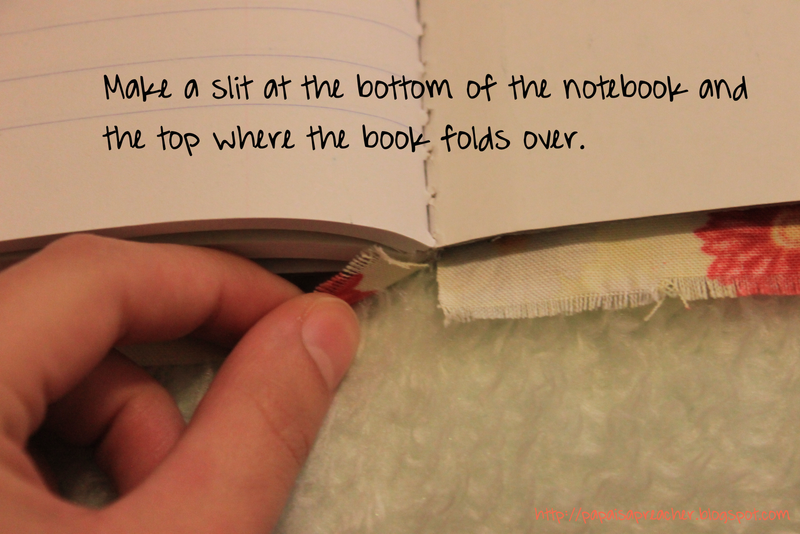 I use composition books all the time. 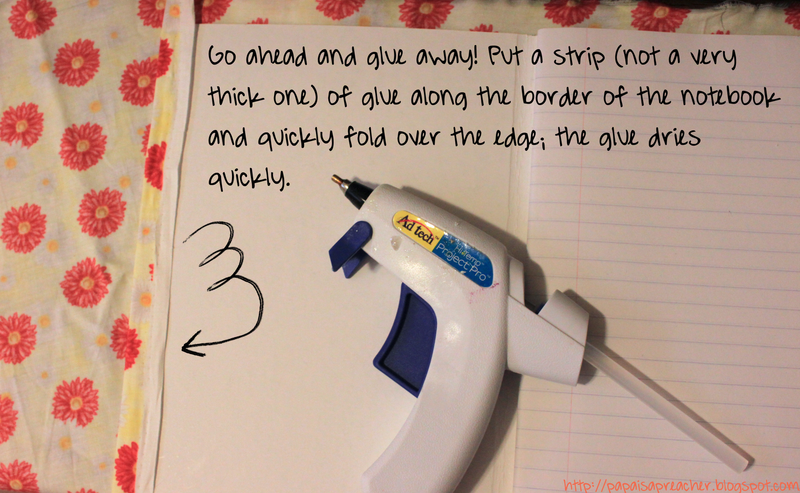 For projects at home and to take notes at work. I use a smaller notebook for my quotes, one that I can carry in my purse. I think I'll do a fabric covered for my home projects! 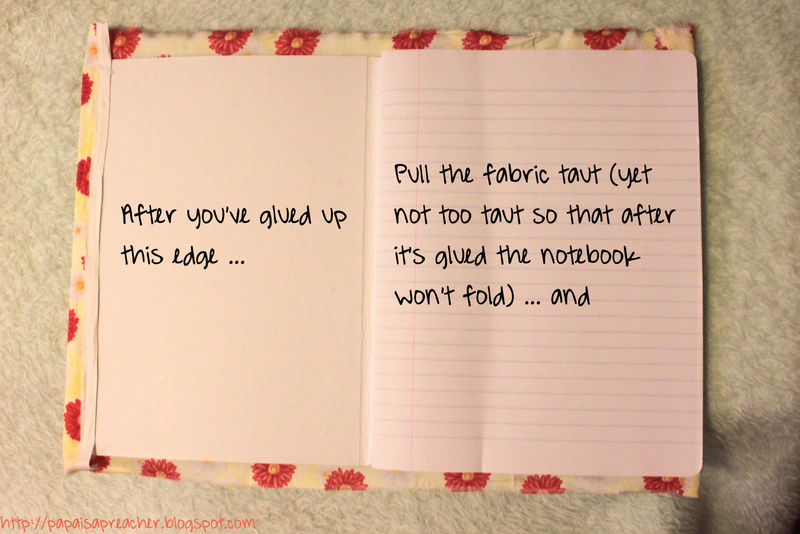 A scrapbook or travel journal comes to mind too. Also would make a great gratitude journal. I agree, your nickname is adorable. Super cute! 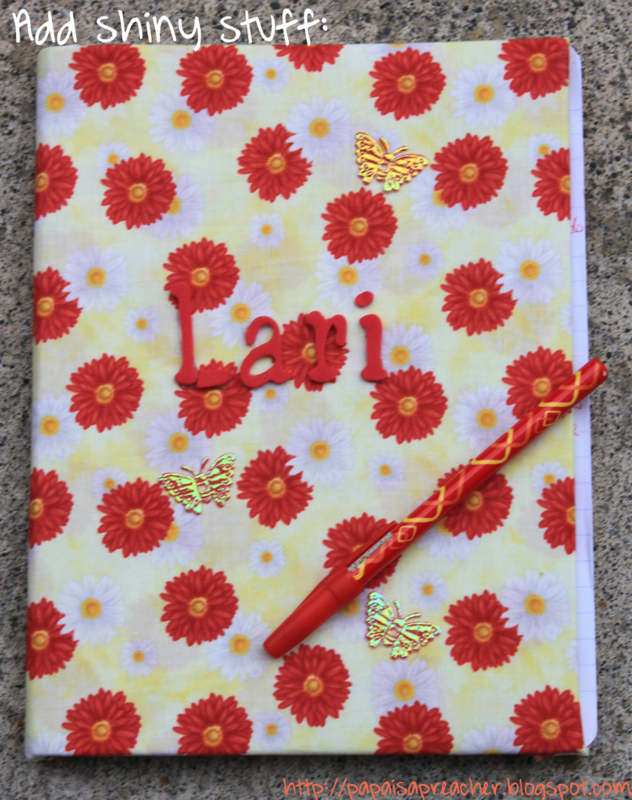 I love how personalized it can be….I'm suddenly imagining little boy fabric and notebooks for nephews to fill with drawings….Thank you for the idea! Yay yay yay! About the notebooks of course. And I knew it! I just knew it! I was writing that last part and thinking you would insist on using it. Hmm, pronunciation is so hard to explain! L-ah-r (Brazilian “r” sound)- ee … it's .. hard .. to explain. I definitely agree it's a good time to do this with the back to school sales! 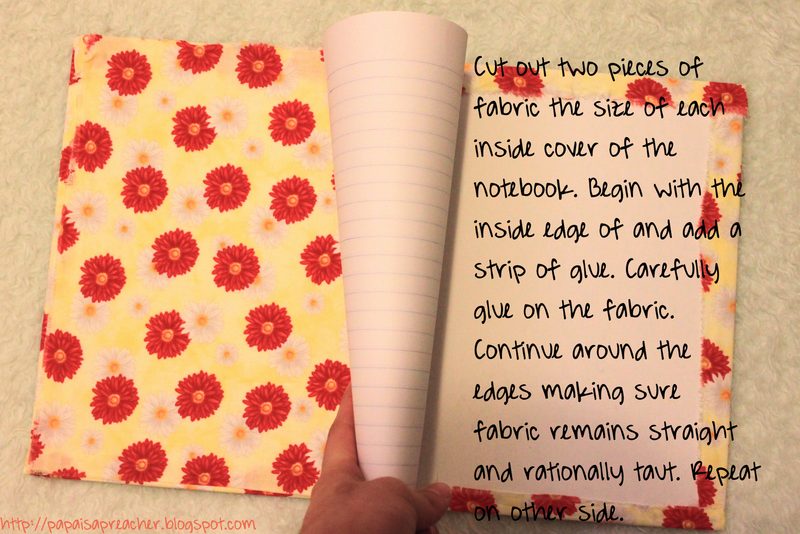 what an easy and great way to make a personalized journal for anyone at any age! thanks for sharing! I think I shall have to make at least three of these this week. 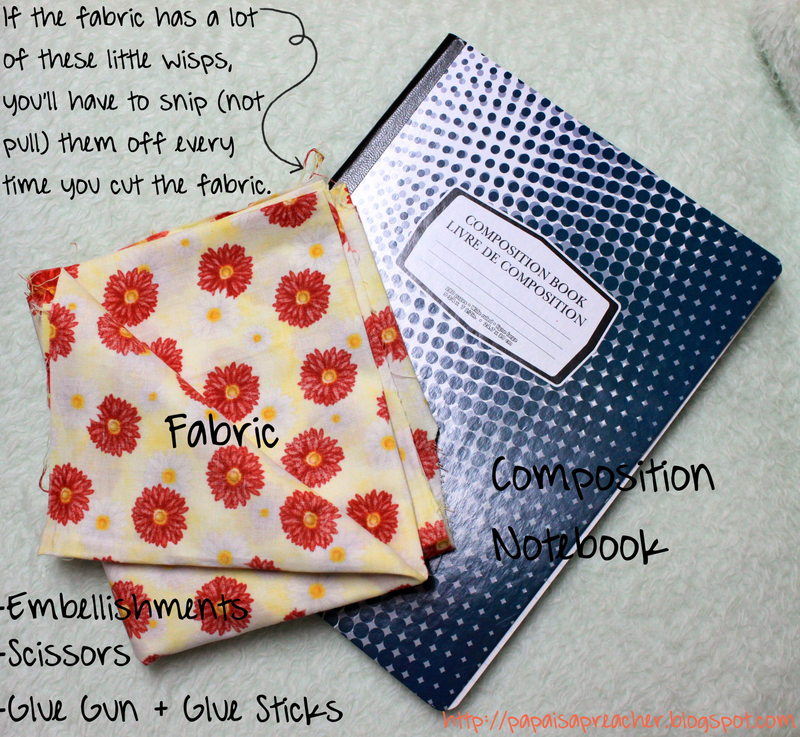 I have so many composition notebooks and so much scrap fabric. My jBird thanks you in advance. Also, I may have to call you Larry, because that is a fabulous nickname. Lovely! 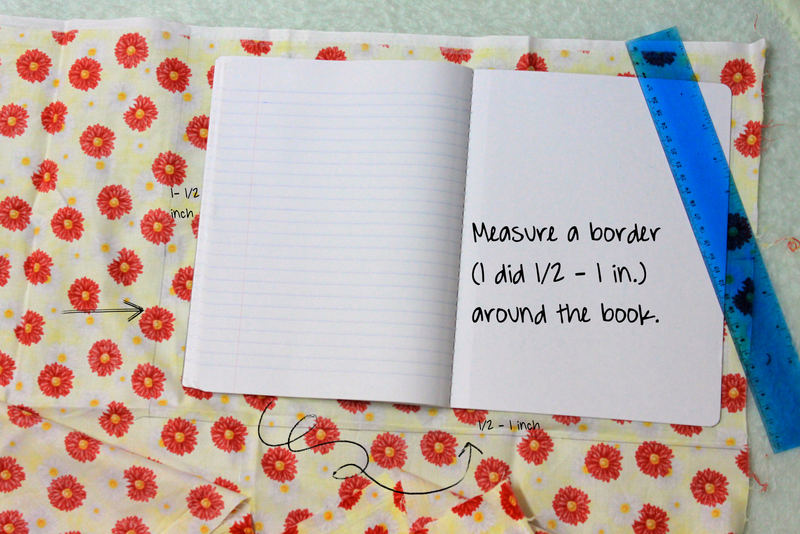 Now is the time to make this with composition books being so cheap with the back to school sales! Love how you decorated it. I have to ask.. How do you pronounce your nick name? (I won't use it, but am curious now..ha ha ha..